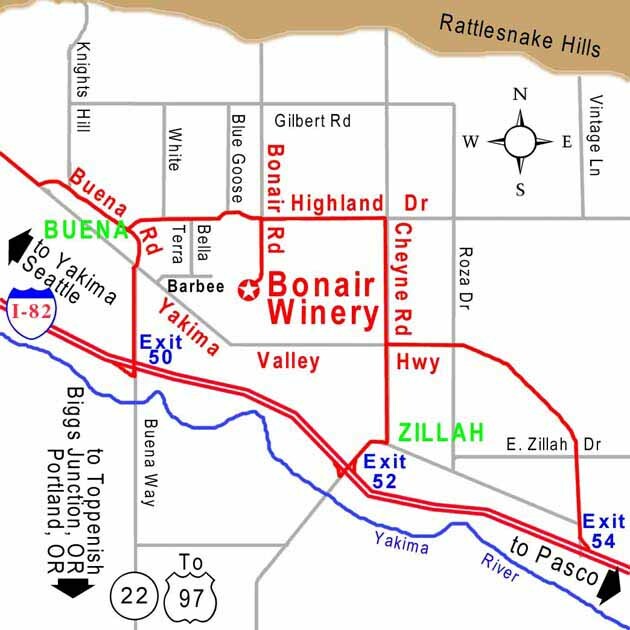 Where in the World is Bonair Winery? We are located in the Yakima Valley in south-central Washington, 18 miles southeast of Yakima, about equidistant from Seattle, Spokane, and Portland, Oregon. If you are flying from afar, you can go directly to the Yakima Air Terminal (YKM) on Horizon/Alaska Air. Rental cars and limousine service are available. You can also fly into Portland (PDX) or Seattle (SEA) and rent a car for a beautiful drive. A third option is to fly into the Tri Cities (PSC) and rent a car or limousine. Fly Alaska Airlines into Yakima or Pasco and your case of wine flies home free. 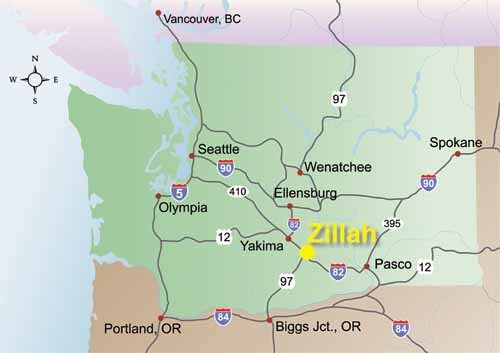 Click on the map for a printable version of the Zillah area. For tourist service, click on the Rattlesnake Hills Logo.